Bryshere Gray Photos, News, and Videos | Just Jared Jr.
Bryshere “Yazz” Gray throws up a “Rock On” sign with his hand while at the Go Pool party at the Flamingo Hotel & Casino on Saturday (July 29) in Las Vegas. The 23-year-old Empire actor and rapper went shirtless in just a pair of maroon velvet joggers as he performed at the party. Since becoming famous, Bryshere recently shared what the best part of fame has been for him. Be sure to catch Yazz on Empire when it returns to FOX this September! 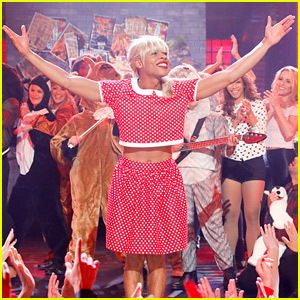 Bryshere Gray Dresses as Taylor Swift on 'Lip Sync Battle' - Watch Now! Bryshere Gray puts on an amazing performance of Taylor Swift‘s “We Are Never Ever Getting Back Together” on Lip Sync Battle! 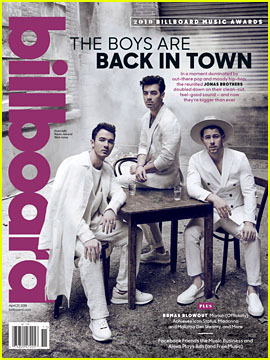 The 23-year-old Empire star performed “We Are Never Ever Getting Back Together” in one of his songs on the upcoming show. Rumer Willis is competing against Bryshere this week. As always, hosts LL Cool J and television personality, author, and model Chrissy Teigen will return to the stage as well. 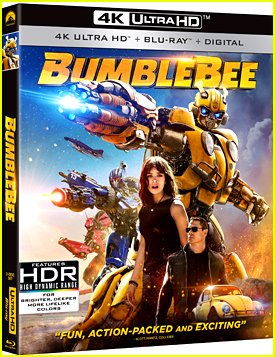 Be sure to watch the episode, airing on Thursday, May 18 at 10:00pm ET/PT! 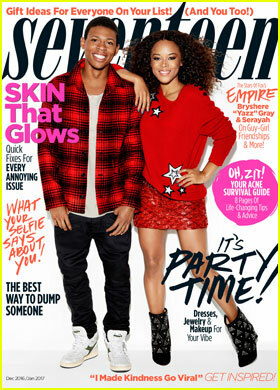 Serayah is super festive while posing with co-star Bryshere “Yazz” Gray on the December/January 2017 cover of Seventeen magazine, on newsstands November 22. For more on Serayah and Yazz, visit Seventeen.com. 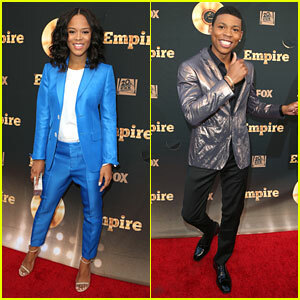 Serayah kills it on the red carpet in a blue suit at the Empire For Your Consideration event held at Zanuck Theater on Friday (May 20) in Los Angeles. 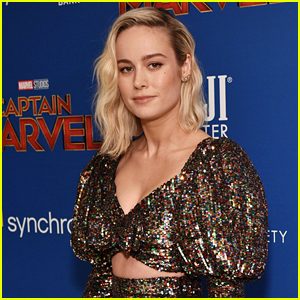 The 22-year-old actress joined Bryshere Y. Gray at the event where the cast opened up about the cliffhanger season two finale. Serayah is also pictured below at the H&M 2016 Place Of Possible Launch earlier in the month. FYI: Serayah carried an Edie Parker clutch. Serayah shows off her lighter locks as she arrives for the 2016 Human Rights Campaign Los Angeles Gala Dinner held at JW Marriott Los Angeles at L.A. LIVE on Saturday night (March 19) in Los Angeles. 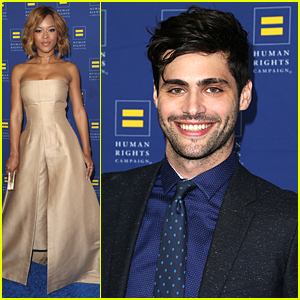 The 20-year-old Empire star was joined by her co-stars Jussie Smollett and Bryshere Gray, as well as Shadowhunters hottie Matthew Daddario, social influencer Ingrid Nilsen, Maria Bello, Justin Mikita, and Guillermo Diaz. The annual dinner brought together over 1,000 HRC members, friends, family and allies for an evening of celebration and inspiration in the greater Los Angeles area. Featuring a cocktail reception, an extensive silent auction, an elegant dinner, live entertainment and thought-provoking speakers and guests, the event consistently attracts some of the nation’s top figures in politics and entertainment. FYI: Serayah wore a Solace London top and pants with Casadei shoes and Pamela Love jewelry.